We love Ski Hill Weddings! Dave & Maureen were married almost a year ago - Happy Anniversary! 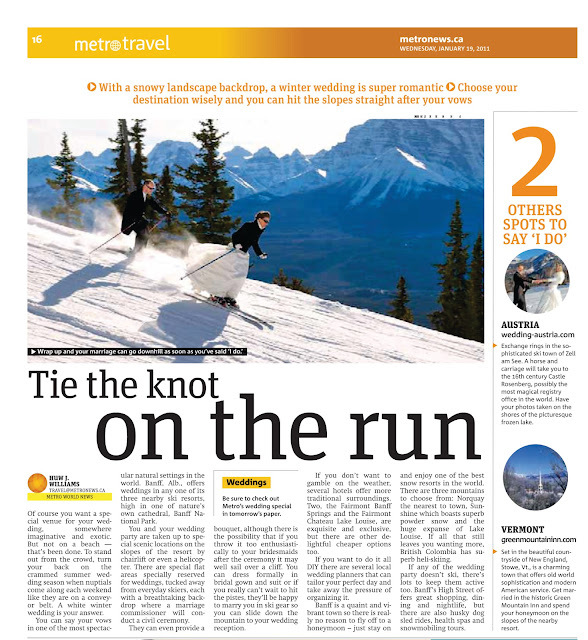 Metro News recently published this image in an article about Ski Hill Weddings. Best Wishes to Dave & Maureen - Keep on Skiing!